We are excited to see all the applications coming in for the Singapore Mini Maker Faire 2014. Thank you for your interest! To all makers who had submitted your applications, the curation is in progress and we will be in touch with you very shortly! Find out more about the 3 Day Inventor essentials certification programme that the winners will take part in. 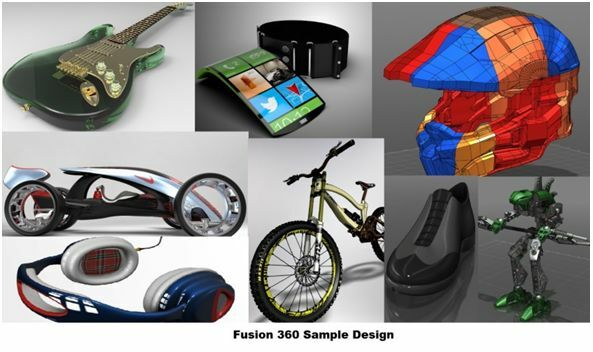 Designs should be created using Autodesk technology, i.e, Autodesk Fusion, 123D family, AutoCAD Inventor etc. Autodesk will provide free student software for students and facilitators, as well as training. 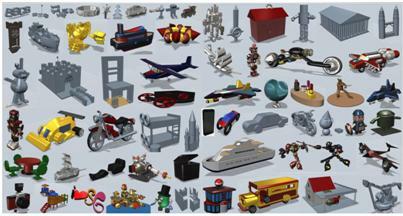 Autodesk Fusion , 123D software. Participants can log in to our challenge submission page using their facebook account. To enter, click “Join Event” and “Add photo/ video”. Upload your photo and write a short paragraph about why your design is What’s next. Heard us? Yes, it is you (makers) that we are calling! If you were with us last year, thank you for making the Singapore Mini Maker Faire so loud that many more are keen to join us this year. Now, it is the time that you join us again. Echo our call for makers for the Singapore Mini Maker Faire 2013! More information can be found here. How would you like to take part in the Singapore Mini Maker Faire 2013? It has been half a year since our first Singapore Mini Maker Faire, and we hope you have had a great time since then, building, crafting and making things.We’re pleased to announce the dates for this year’s Faire – Saturday 27 July and Sunday 28 July. The venue will be finalised soon, but it will be outdoor (tented). Before we call for makers officially, we hope you can help us get a sense of how you would like to participate. Appreciate it if you could do so by spending a few minutes to fill out a survey form here. (Edit: The Call for Makers is now open!). Do note that the form is just for us to have a preliminary feel of the event, so you will still need to fill out the “Call for Makers” form later on to confirm your participation. If you have friends, family or colleagues who might be keen in participating in the Faire, please share this with them as well! Hope to see you at the Singapore Mini Maker Faire 2013! Thanks to all who came for the information sessions! It was great to meet with so many enthusiastic folk and hear about what people might want to do at the Singapore Mini Maker Faire. Do drop us an email at mf.singapore@gmail.com if you have any more questions about participating! We’ll be holding a short information session on what’s involved in participating as a Maker for the Singapore Mini Maker Faire. It’s also an opportunity to mingle and network with other local Makers! If you would like to attend the information session, please register here by Wednesday 9 May. Apply now as a Maker! We invite you to join in the fun by entering a project to exhibit for this inaugural Singapore Mini Maker Faire! To participate in the Singapore Mini Maker Faire, please submit an entry that tells us about yourself and your project. This entry should provide a short description of what you make and what you would like to bring to the Singapore Mini Maker Faire, including links to photographs and/or videos of your project. Entries can be from individuals or groups, such as schools, hobby clubs or interest groups. We particularly encourage exhibits that are interactive and that highlight the process of making things. More details and links to the forms can be found at the Maker page. Coming soon – the Singapore Mini Maker Faire! The Call for Makers is now open! Just built a fun gadget, sewn up a cool costume, or handcrafted something cute? The Singapore Mini Maker Faire is the place for you to showcase your creative work! Makers – and anyone embracing the do-it-yourself spirit – of all kinds and ages are welcome to display their creations and want to share their accomplishments with an appreciative audience. We invite you to join in the fun by entering a project to exhibit for this inaugural Singapore Mini Maker Faire, or to participate as a workshop facilitator, presenter, performer or marketplace vendor. More details and forms will be up at this website over the next few days!